Is anything every just Black and White? 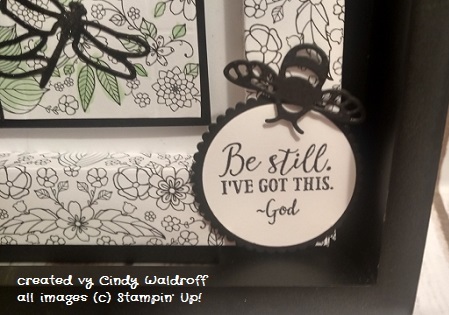 Welcome to the February Stampin' Friends Blog Hop! I appreciate you hopping over today.Today's theme is Black and White with a punch of color. If you came from Kristen Gill's blog I know you were inspired. Click the previous link to return there. We are fortunate to have 3 very talented Guest hoppers today. I know you will want to visit each of their blogs also. You can continue on the hop by clicking on the Next button at the bottom of this post. So, ready to see my projects today? I had a really good time creating these. 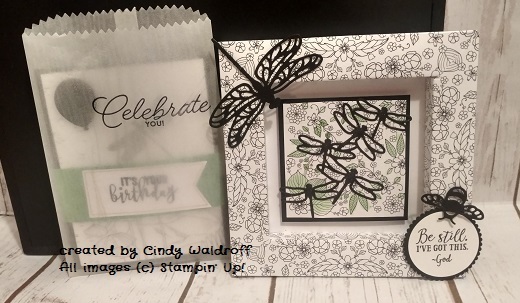 I used patterns I found on Splitcoast stampers and You Tube for the mechanics. Cucumber Crush is my accent color. Love this Inside the Lines DSP from the Saleabration Catalog. 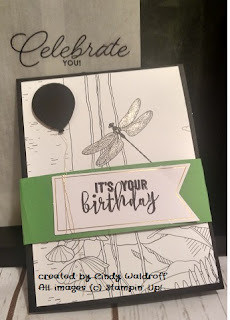 I also made use of the glassine bags as my envelope for this card. I love doing this when I know I'm going to be hand delivering the card or when a card is a little thick for a regular size envelope. I usually add more to the outside, but the card showed through nicely and already had a lot going on. Here is the card. It has a belly band to help keep it closed and opens from the bottom. I have falling in love with these Cards. Ready? TA DA!! Yep, it's a Pop and Twist. And they are amazing. This is a birthday card for my adventurous daughter. I think she will love it. 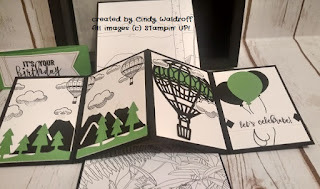 I used the Lift me up Bundle which is so much fun to play with and the Always an Adventure bundle from the annual catalog. 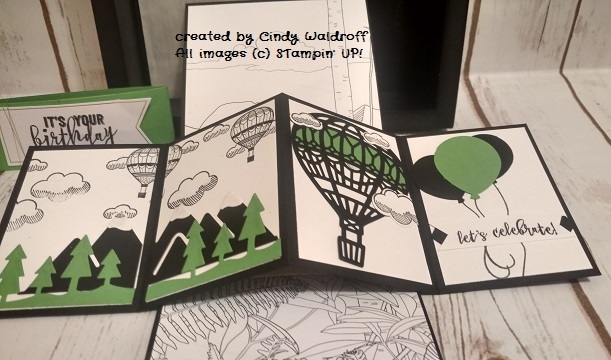 And, finally the balloon punch and stamps from the Birthday Adventures Bundle. Cucumber Crush is one of the In Colors that will be retiring in May. For my 3-D project I made a Shadow box frame. 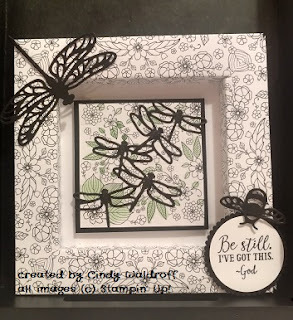 These are also easy to make and a whole lot of fun. 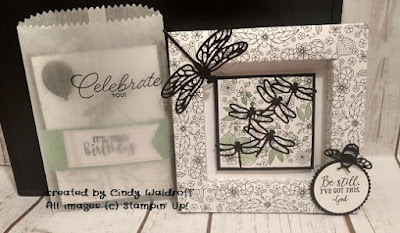 Again, I utilized the Inside the Lines DSP and this time the Dragonfly Bundle. It's starting to sound like all of them are my favorites! Here's a close up of the message in the corner. I hope y'all enjoyed these projects as much as I enjoyed making them. Have a geat day and be blessed!